The design of the car is new and this is something to recognise about this car. The headlights and the fog lamps give the car a trendy look. From front to the rear the car has been designed as per the youth and therefore is sporty in nature. The interiors are also good like the seats are comfortable and offer good comfort; in addition to this the legroom is very spacious. The console is integrated in the centre and the AC is very much effective. Power steering and i-shift gear are the things which will attract you. The new engine is an all-aluminium, DOHC, 16-valve unit that produces 80 bhp at 5200 rpm. No doubt the handling of the car is very smooth because of the tubeless tyres that increase the level of grip and curves on slippery surfaces. The Hyundai i10 is loaded with safety features like electronic trip-meter, an electronic odometer, a low fuel warning lamp, an air conditioner with heater, and an internally adjustable ORVM. it also includes including child safety door locks, seatbelts, front air bags, ABS, and crumple zones. The car is lively and handles well with its short wheelbase and turning radius that makes it ideal for swift manoeuvres. 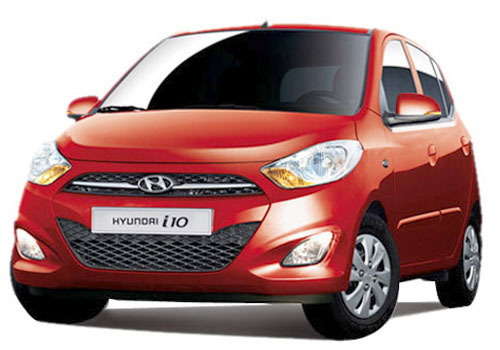 The new i10 sport is included with features like sunroof, audio system. Hyundai i10 is a awesome car. with good features and exterior & interior design.